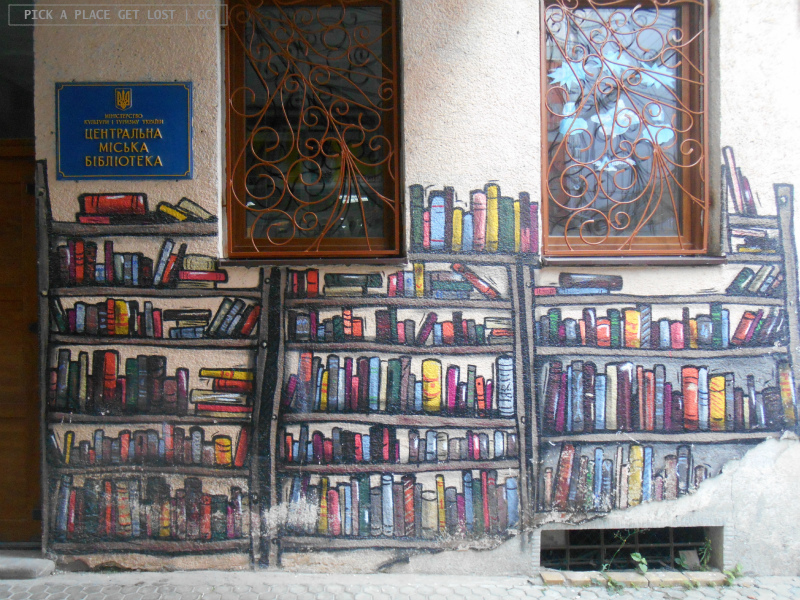 Uzhhorod (Ужгород) is the city that you don’t expect. 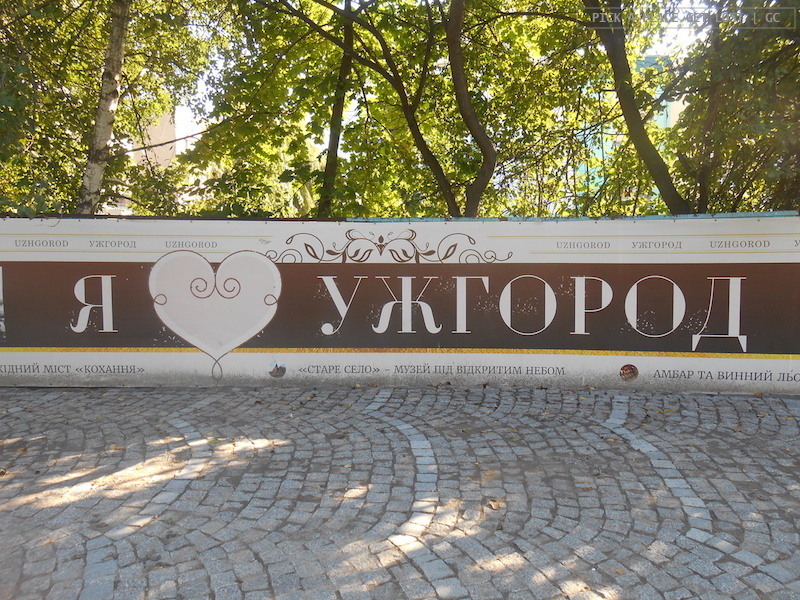 In fact, to be 100% honest, I didn’t know about its existence before I went to Ukraine. All things considered, I’m really happy we stopped there during our tour. Of all the unexpected things I came across during our Ukrainian tour, I can quite confidently say that Uzhhorod was the loveliest surprise. Uzhhorod is the administrative centre of Transcarpathia or Zakarpattia Oblast (Закарпатська област), a province located in south-western Ukraine. 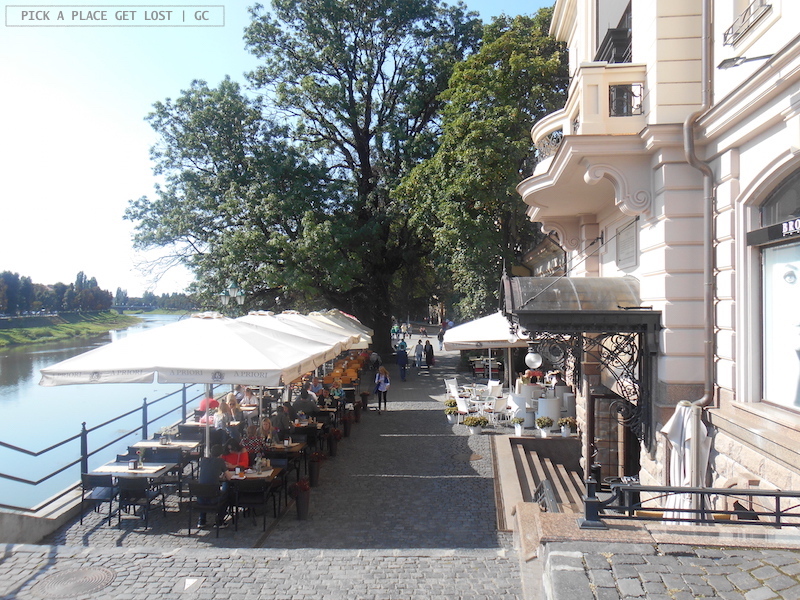 In Uzhhorod we spent a whole day, which is plenty of time to see basically everything. 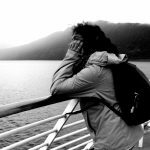 That said, a few days would do no harm, as they would allow some extra time for hiking and visiting a couple of castles and villages in the area. Five things in particular I found interesting, fascinating and/or altogether unique about Uzhhorod. I’m just going to leave them here, and, if you’re not even remotely familiar with the city, you might want to at least Google-map it after reading about all of them! 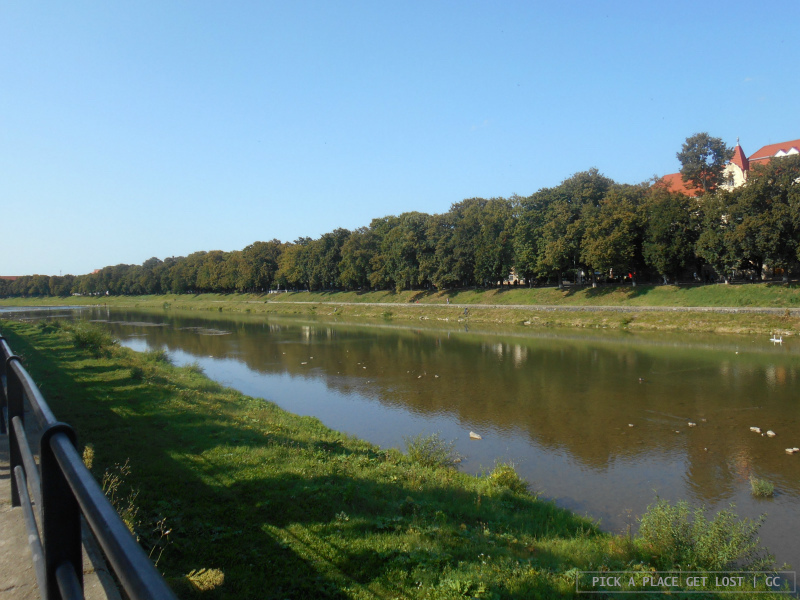 Uzhhorod is a border city, which it won’t take you that long to realise when you visit it. It’s a melting pot of languages, cultures and ethnic groups, amongst which the Hungarian and Romanian communities are the largest. The diversity of the urban landscape suggests a similarly cosmopolite atmosphere. There’s a half-bust of Slovak politician and diplomat Milan Rastislav Štefánik. There are Hungarian shop signs here and there. And there’s the Czech quarter (Cheshsky Kvartal), an area almost entirely built in functionalist style in the 1920s. 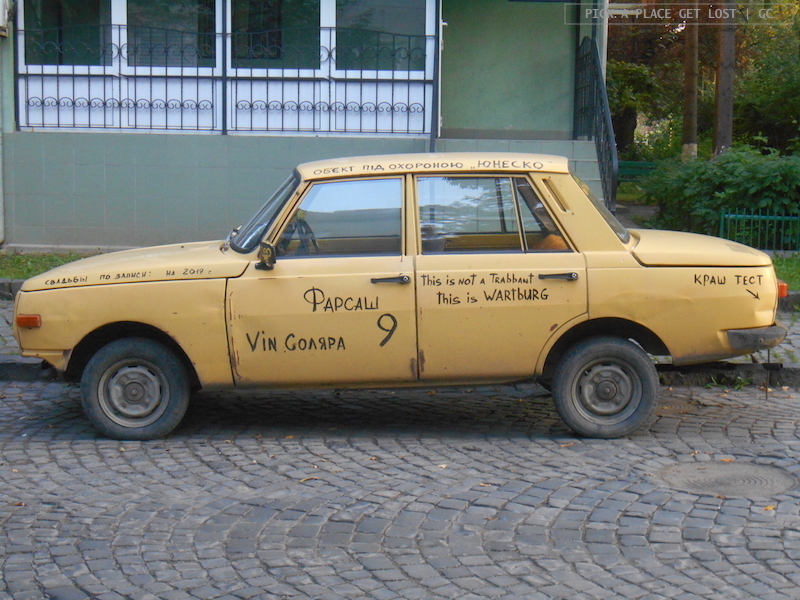 In those years functionalism was especially popular in Czech and Slovak cities, hence the name of the quarter itself. 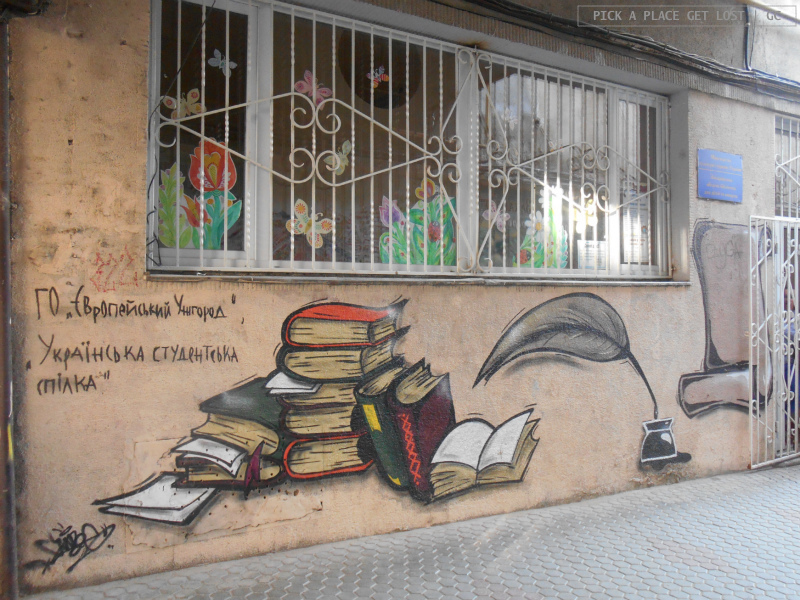 Not far from the former synagogue (see entry no. 4 for details) we came across a huge city map, which suggested that the border with Slovakia was only a few kilometres from the city centre. Needless to say, we did our best to get there, but, as it turned out, the border was nowhere in sight. It was probably further away than the map suggested, because, after what felt like many more kilometres than the map advertised, we still hadn’t got anywhere. At that point, we had to turn back: we were getting hungrier and hungrier, and the place we wanted to go to for dinner was on the opposite side of the city (see entry no. 5 for details). Maybe next time! So, yes, there are countless inputs all around, and you will be excused for temporarily forgetting that you are still in Ukraine. 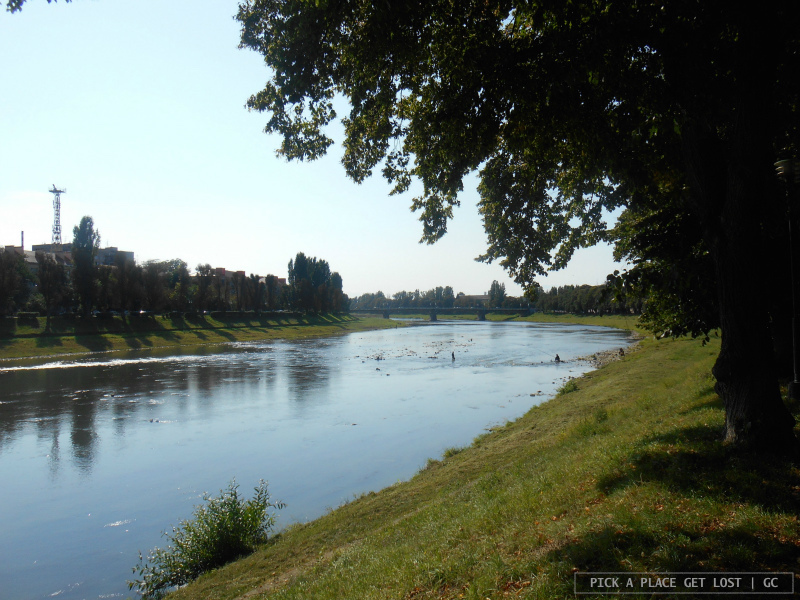 Uzhhorod river is called Uzh, and, no, it’s no coincidence. Uzhhorod means ‘city by the Uzh’. 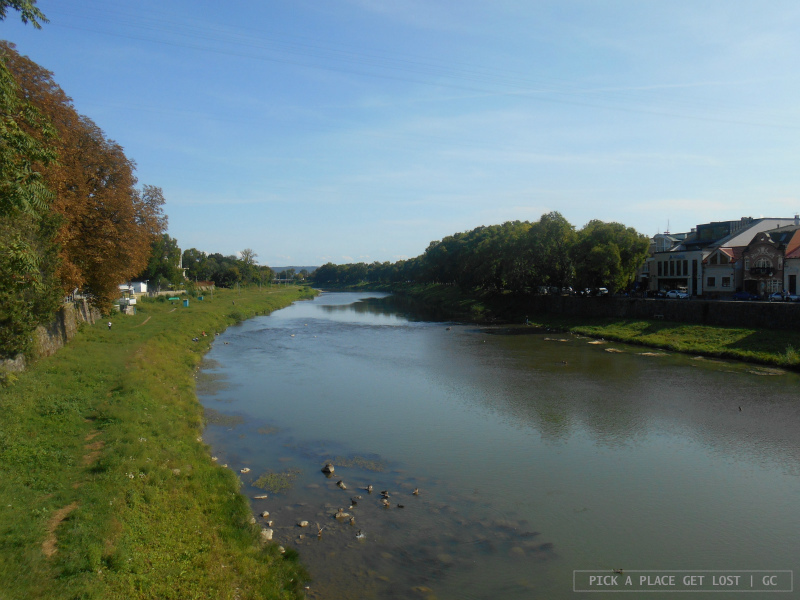 The river forms an integral part of the urban landscape. In fact, if you remove ‘Uzh’ from its name, you’re only left with ‘horod’, which sounds like ‘city’ in Ukrainian. In other words, you’re left with a ‘city’, but how can you tell which one, if it’s only called ‘city’? 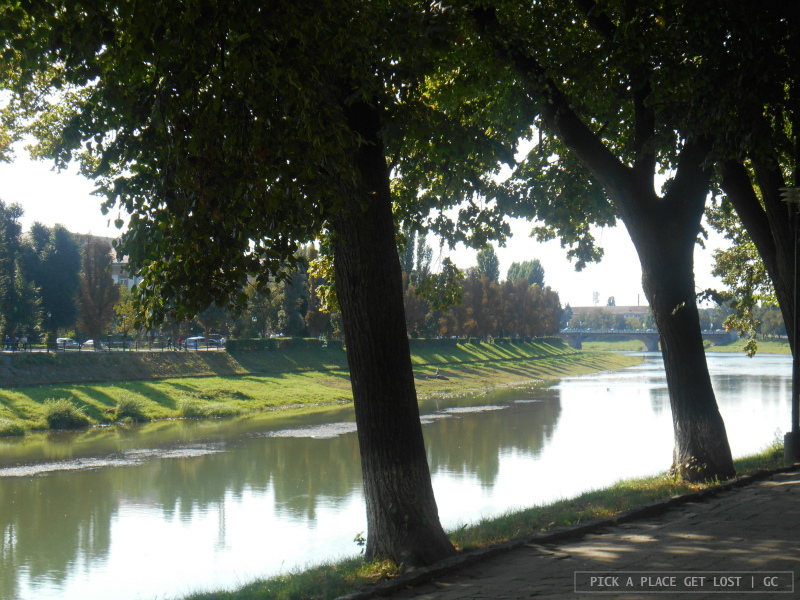 The river is key to the very identity of the city, and that makes Uzhhorod all the more lovely and unique to me. The city is historically known by its Hungarian name, Ungvár, which combines ‘Ung’ (Hungarian word for ‘Uzh’) and ‘vár’ (‘castle’ in Hungarian). You see, the river is always there. 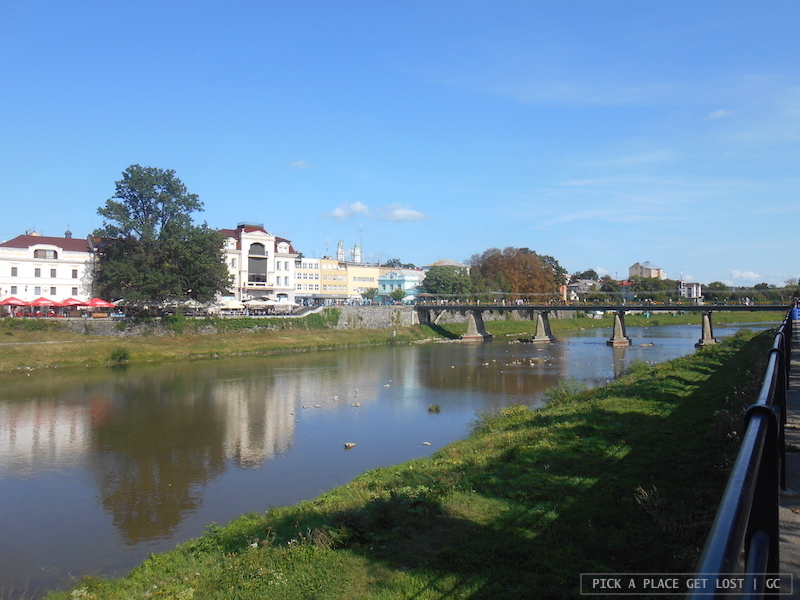 Whichever the etymology of the city’s name, the river Uzh flows at the very heart of Uzhhorod, which makes for a truly picturesque view. In the daylight it’s a mirror for the sky, and strolling in the shade of the tree-lined footpath that runs along its bank is the most pleasant thing. At night it goes all dark and silent, its waters only visible from the bridge across the river to the city centre. … Well, exactly, this is another good reason for a walk down the river promenade. Here and there on the railing along the Uzh (and not only there) are scattered mini-sculptures that portray a number of characters of historical, cultural and/or mythical importance. The project, started by Uzhhorod-born artist Mykhailo Kolodko, includes both famous personalities like Hungarian composer Ferenc Liszt, and popular monuments such as the Statue of Liberty. Though partly reminiscent of other similar urban projects (e.g. 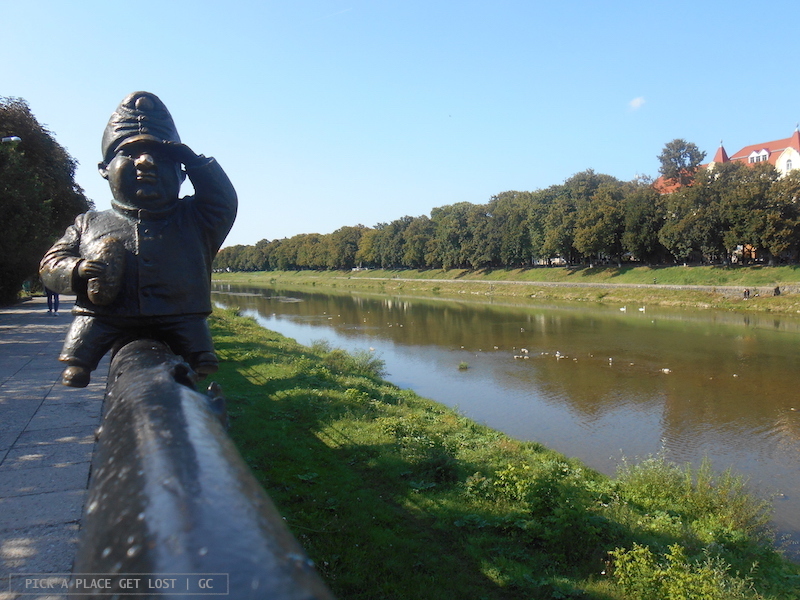 Wroclaw’s Gnomes, to name a popular almost-equivalent), the Uzhhorod mini-statues are a unique attraction, which no occasional tourist or regular visitor would really want to miss! – The sculpture of the ‘Good Soldier Švejk’ is a classic. Keep the city centre behind you, and cross the main bridge over the Uzh. 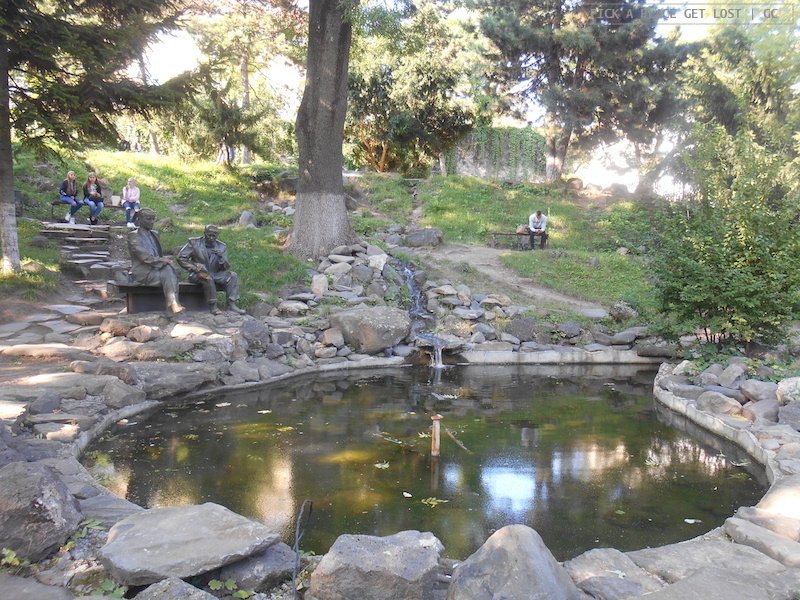 After the bridge turn right into Kyivska Embankment, and the tiny little soldier is only a few steps away. He is holding a knedlík, a traditional Czech type of bread. Incidentally, Švejk is the main character of The Fateful Adventures of the Good Soldier Švejk During the World War, a popular Czech satirical novel by Jaroslav Hašek (and the most translated Czech novel of all times). 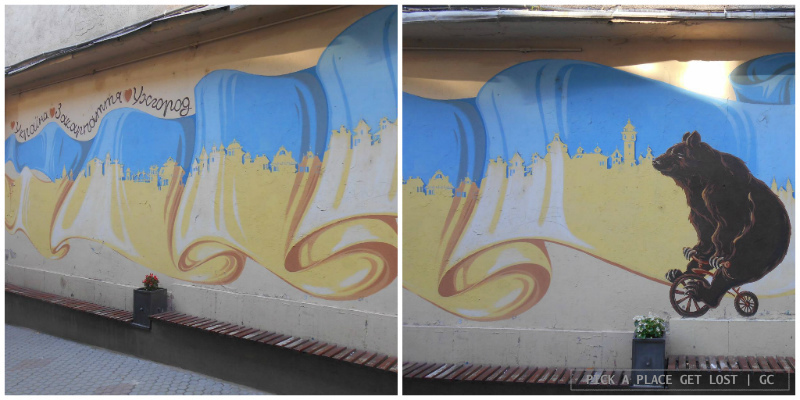 – A knot in the railing of Kyivska Embankment. It is a symbol of well-known Transcarpathian wrestler and circus performer Ivan Firtsak-Croton, also featured in Oleksandr Havrosh’s children’s book ‘Ivan Strong’. 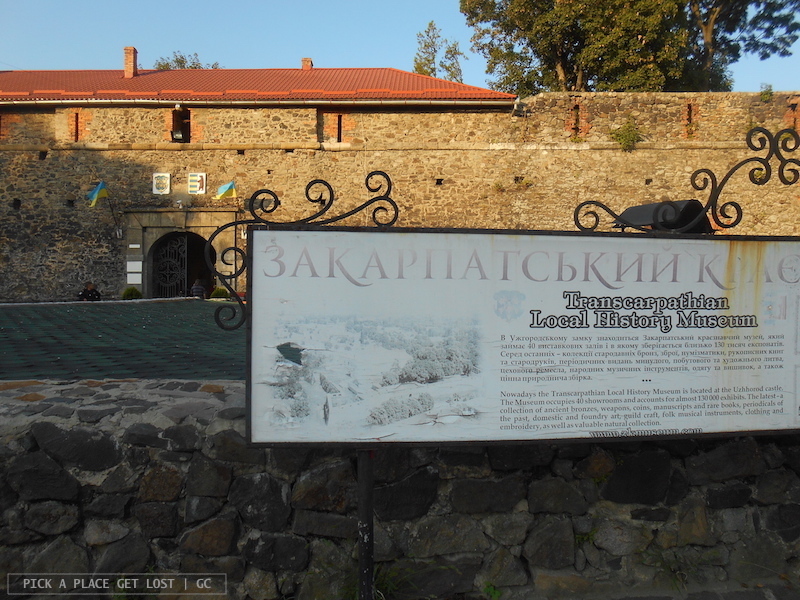 – Prince Laborets, legendary founder of Uzhhorod and its castle. His tiny figure, completely tied in rope, stands on top of a sword, of which it forms the hilt. It’s a reference to his death: he was drowned in the river Ondava, now known as Laborets. The sword is stuck in one of the outer walls of the castle: keep an eye out for it! – Artist Tivadar Csontváry, effortlessly ice skating along the railing of Kyivska Embankment. – Painter Ignacs Roskovics standing by the easel, in the act of painting. 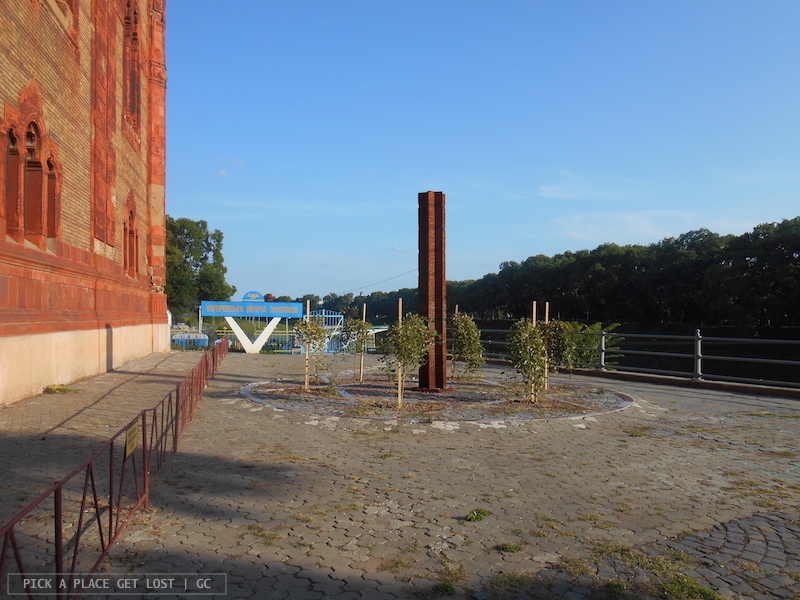 This sculpture you find on Nezalezhnosti Embankment. – The statue of a lamplighter, known as ‘Uncle Kolya’, portrayed on a ladder in the act of lighting up a lantern. Slightly larger than the average mini-sculpture, this one’s located in the very heart of the city centre, at the junction between Voloshin and Korzo. – Deep Purple leader Jon Lord, portrayed as he contemplates the river from the railing, headphones on, deep in thought. – Santa’s helper (or ‘Mikolajczyk’, as it’s also known), contentedly perched on the rail of the main bridge across the river Uzh. – A mini version of the ship called ‘Carpathia’, which also happens to be the only ship that reacted to the SOS message sent out by the Titanic, and also the very first ship that rescued its passengers. When I read that you can place a candle inside the ship, I really regretted not doing it myself. – The Statue of Liberty (known as ‘Svobodka’), which is probably the most popular of all. We almost missed it, but we eventually (read: coincidentally) came across it in the evening on the way back to our hostel. Overall, not too meagre an outcome. Sculptures we’ve missed include: Andy Warhol, a mini-telephone, a small group of hedgehogs, Rubik’s Cube and Franz Liszt himself. Uzhhorod city centre is quite small. It is, however, lively and colourful, also thanks to the numerous signs of bars and restaurants in different styles scattered in the area. It’s not hard, though, to identify the major places of interest in the urban landscape. One of the easiest highlights to spot is the Philharmonia, undoubtedly one of the most beautiful buildings in the city. 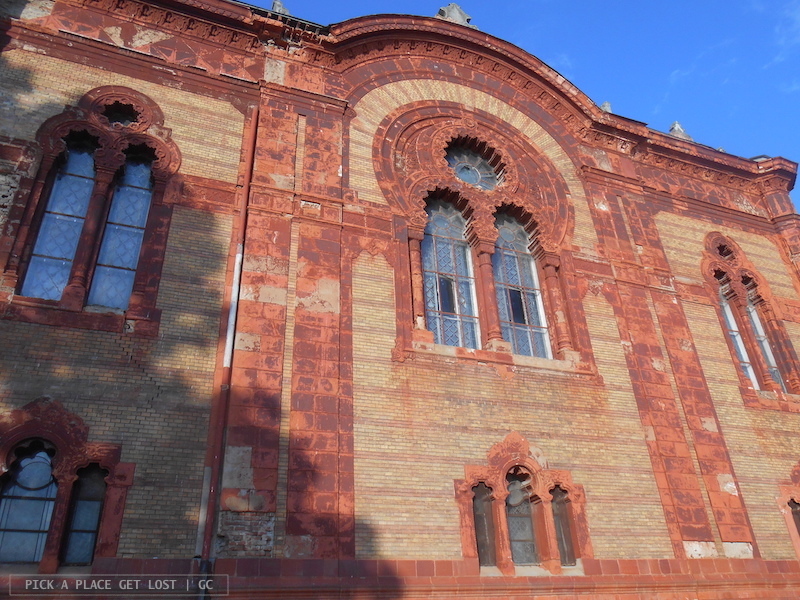 Originally built as a synagogue, it is now used as concert venue. 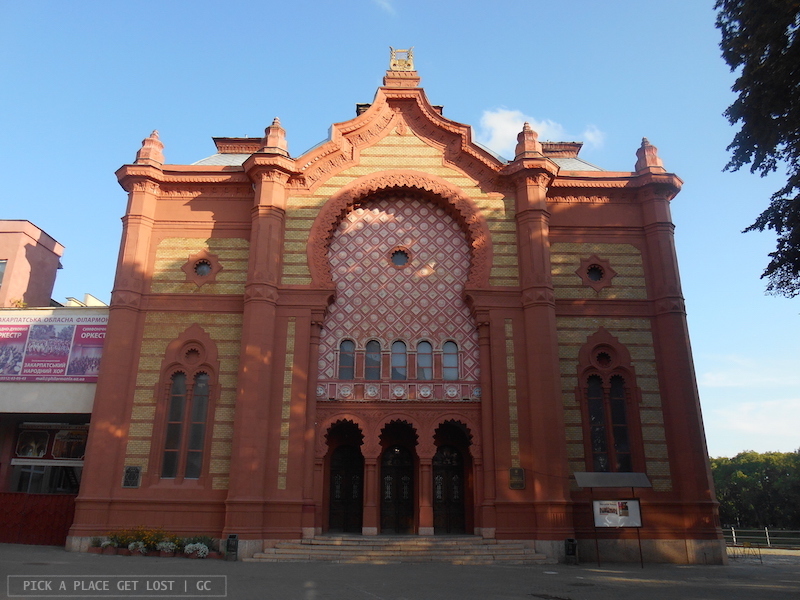 Its façade is covered in terracotta carvings, which give the building a truly stunning appearance. It really does not go unnoticed, nor would you possibly want to miss it! It is no coincidence that in 2016, right in front of the building, a monument that commemorates the victims of the Holocaust was unveiled. A true Uzhhorod landmark is its castle, which, needless to say, sits on top of the hill overlooking the city. 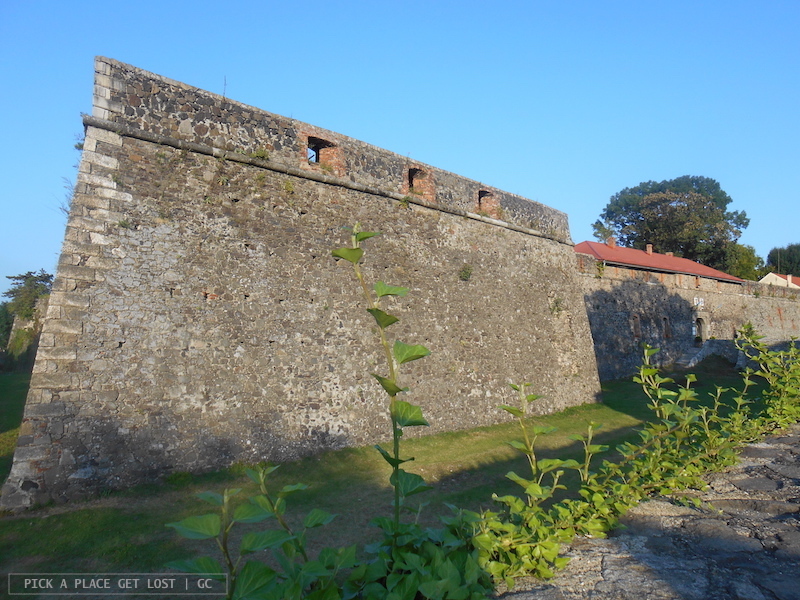 Originally built in the 13th century, over the course of the centuries it survived multiple renovations and multiple sieges, but it was never taken. Today the castle is home to the Transcarpathian Museum of Local Lore, which provides an extensive overview of the history of the region. Last but not least, remember to forget about all your to-do lists at some point, and take some time to have a leisurely stroll around town. You will unexpectedly come across sumptuous churches, buildings in various architectural styles, and super cool works of street art. This is what I described in entry no.1 as the ‘place we wanted to go to for dinner’. 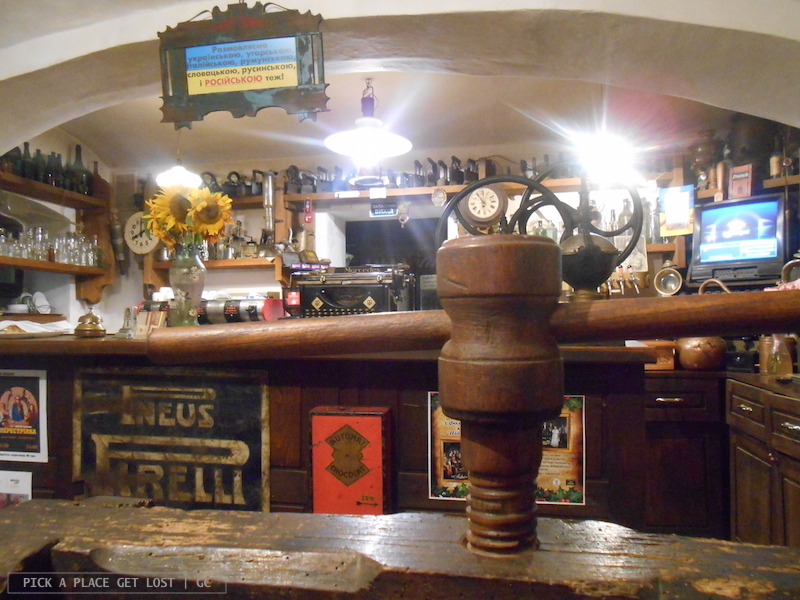 We had already read about Pid Zamkom (literally ‘Below the Castle’, due to its location) in our Ukraine guide, which described it as super special, especially thanks to the ‘nostalgic’ atmosphere it exuded and the miscellaneous paraphernalia on display. That, and the fact that two people asked us for directions to the cafe-muzey when we were by the castle, understandably aroused our curiosity. I can confidently say that Pid Zamkom is one of the coolest places I’ve ever been to. The place is crammed with objects of every imaginable type: shop signs, lamps, clocks, pieces of furniture… name one, and it’s probably there. 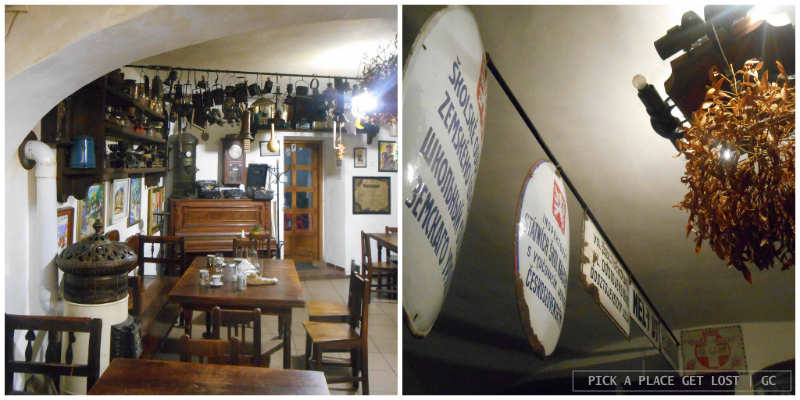 The huge amount of old stuff, which goes very well with the dim lights and the white walls of the interiors, contributes to the unique atmosphere of the place. What is more, expect to find good food and good drinking. We had super yummy pelmeny and varenyky, and a good pint of beer to wash it all down. I would be unnecessarily verbose if I dwelt on this or that detail of the overall appearance of Pid Zamkom. 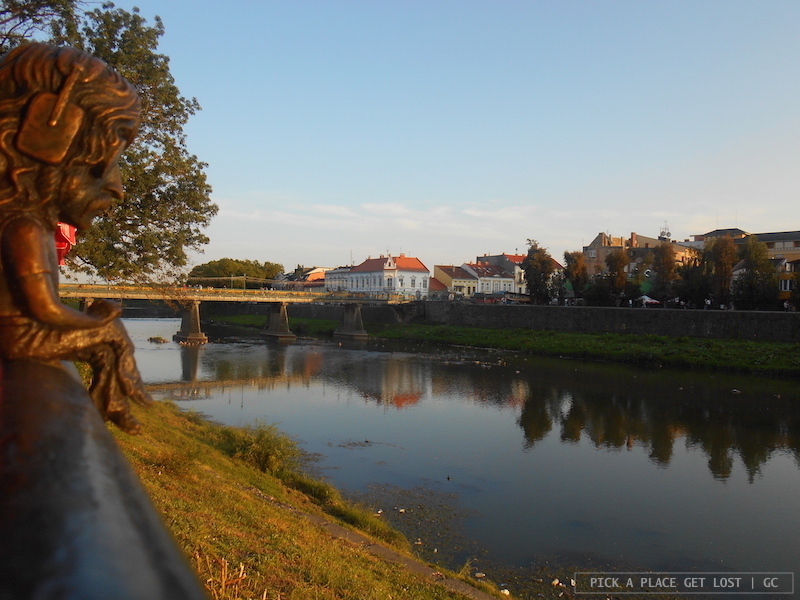 If and when you visit Uzhhorod, though, do make a mental note of this place: you won’t be disappointed! 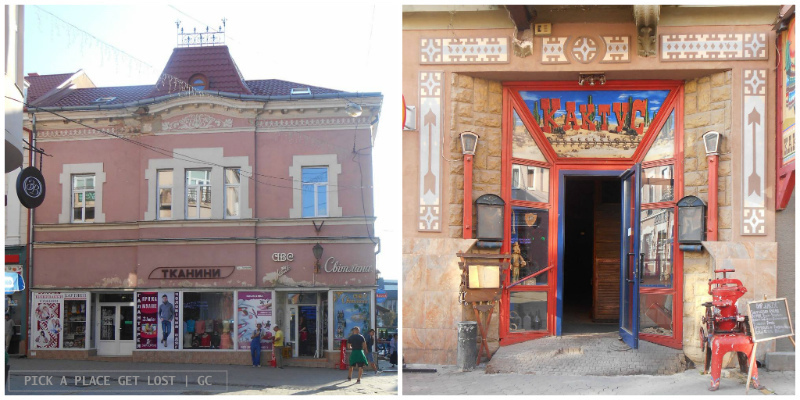 Uzhhorod was the final stop in our Ukrainian itinerary: leaving Uzhhorod meant leaving the country. Over the course of a week or so Ukraine revealed some of its beautiful spots, but now it also demands that we go back for more. As much as I’d love to visit again all the places I’ve seen this time, I also can’t wait to see and enjoy more of what this troubled, often underrated, yet beautiful country is eager to show. Leaving Uzhhorod also meant heading back to Brno. Before we did go back, though, we still had one intermediate stop to make along the way: Košice, or the capital of Eastern Slovakia. Let’s go! This entry was posted in Ukraine, Ukraine 2017 and tagged castle, mini-scultpures, pid zamkom, transcarpathia, ukraine tour, uzhhorod by Giorgia. Bookmark the permalink.